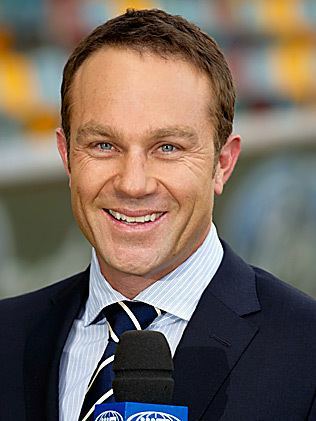 Michael Jonathon Slater (born 21 February 1970) is an Australian television presenter and former professional cricketer who played in 74 Tests and 42 ODIs for the Australian cricket team from 1993 to 2001. He subsequently became a cricket commentator and he previously worked on rugby league coverage with The Footy Show where he was co-host with Paul "Fatty" Vautin. 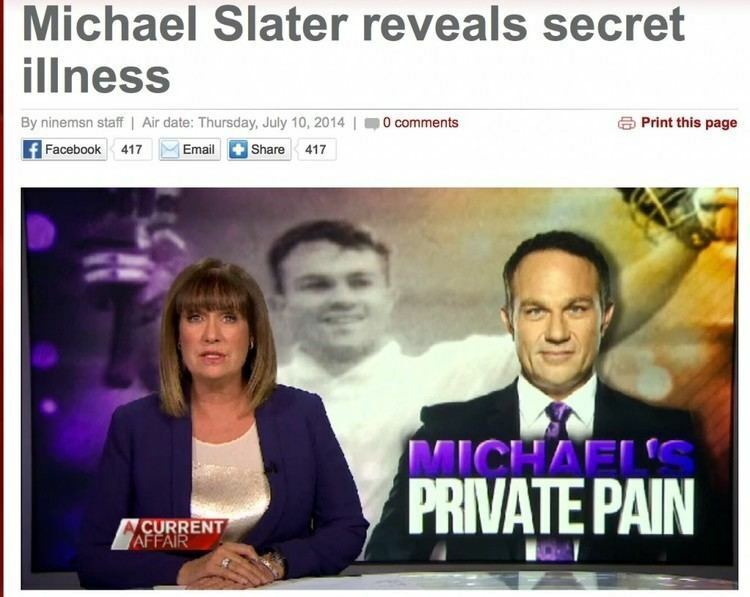 Slater's nickname is "Slats". The son of Peter and Carole, Slater was born in the New South Wales rural city Wagga Wagga after his parents and two elder siblings (Julian and Tracey) had emigrated from the north-eastern coast of England in 1966. They originally migrated to Launceston, Australia by boat, after deciding against moving to Canada. In Launceston, Slater's father taught agriculture and science at high school, as he had done since graduating from college. After three years in Launceston, the Slaters moved to Wagga Wagga, and Peter became a lecturer in agriculture at what is now known as the Charles Sturt University. Slater lived in Wagga Wagga for his entire childhood, eventually leaving with only fond memories. He later wrote: "Wagga Wagga was a great place to grow up, for many reasons. It was a good size — it had a population of around 50,000 when we moved there — and it was in the country, with a great Australian climate. My family was always involved in sport, so from an early age it just seemed natural for me to play any game that was on offer." When still in primary school and aged 11, Slater was selected in the New South Wales Primary School Sports Association cricket and hockey teams, something he described as "a very big thing" and "totally unexpected". A left-inner (an attacking player who helps out defensively), he also made the state hockey team at Under–12 level in 1981, before going on to later be selected in the Under–13, −15 and −17 teams. Slater's mother unexpectedly left the family in 1983, when Michael was just 12 years old. He later wrote about the tough personal times that followed. After his mother left for good, Slater's education standards slipped, with sport becoming the "only thing [he] could focus on properly". School bullying accentuated his academic difficulties in Years 9 and 10, and he once ran home after it was suggested among fellow pupils that some bullies "were planning to get [him] after school". As cricket and hockey began to overlap in his early teenage years, Slater slowly turned the majority of his sporting appetite towards cricket. He joined an inner-western Sydney Under–16 side over the Christmas holidays. Despite not being fond of Sydney, Slater knew that he would have to move to the metropolis if he wanted to further develop his cricketing career. After topping the batting averages in the Under–17s in the following season, Slater was subsequently chosen as captain for the New South Wales Under—16 team. The carnival was not a personal success for the captain; however, he recalls that his team performed "well". An accident at school when he was seventeen saw Slater hurt his Achilles tendon. He played a couple of hockey games following the accident, but had to limp off the field and have consequent surgery in the lead-up to the Under–17 national cricket carnival. Soon after, Slater was informed that, because of his injury, his "dream of playing cricket for Australia was over". After an operation, though, he surprisingly returned to cricket and was selected in the Under–19 state team for the national championships in Brisbane. After an injury to the captain, Slater once again captained his state, although he and his team under-performed. He returned as vice-captain the following year for the Under–19 carnival in Canberra, and scored a century in the opening match. In a victorious final against Victoria, Slater scored another century, becoming one of the leading run-scorers in the series. A specialist right-handed batsman as well as a very occasional bowler, Slater represented the New South Wales Blues in Australian domestic cricket and played English county cricket with Derbyshire. Generally known for his swashbuckling style of play and front-foot pulls, Slater went on to open the batting with success in Test cricket, scoring 5,312 runs and 14 centuries at an average of 42; however he was less successful in his One Day International career, averaging a lowly 24.07. Throughout his career, Slater was infamous for his susceptibility to the "nervous nineties": he was dismissed in the nineties 9 out of the 23 times. He was a product of the AIS Australian Cricket Academy (1989) before appearing for New South Wales in the 1991/92 Sheffield Shield season. He made quick progress to the Australian Test team, and was selected for the Ashes tour of England in 1993, when he was just 23 years of age, narrowly beating Queenslander Matthew Hayden to the opening berth alongside Mark Taylor, who also grew up in Wagga Wagga. In his debut match, he scored a half-century, before compiling his maiden century in the following Test at Lord's. He continued his good form into the subsequent home series against New Zealand in 1993–94, netting 305 runs at an average of 76.25. 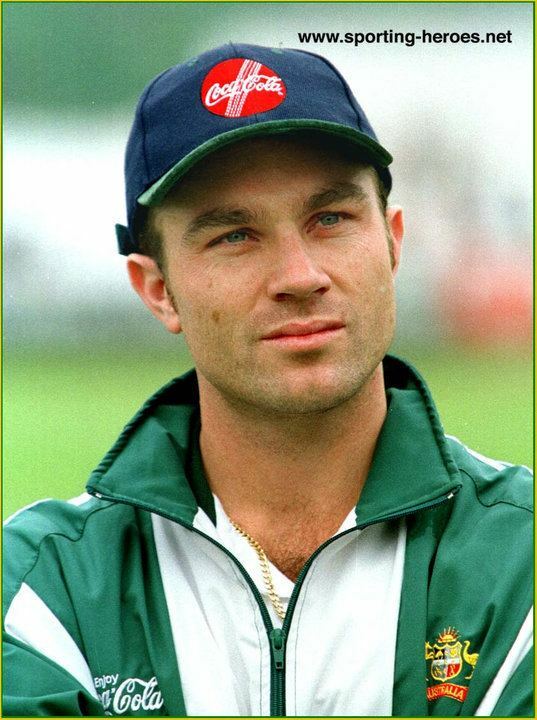 In the 1994–95 return Ashes series in Australia, the right-hander was the leading run-scorer in the series with 623. The following season saw Slater notch his first double-century, against Sri Lanka at the WACA in Perth. Slater's matchwinning 123 against England at Sydney in the 1998–99 Ashes series comprised 66.84 per cent of his team's entire total. This remains the greatest proportion since Charles Bannerman made 165 not out in the very first test innings of all, which was 67.34 per cent of his team's total. 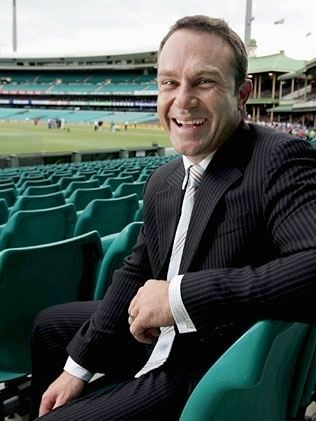 After commentating for Channel 4 in the United Kingdom during the 2005 Ashes series, he joined Nine's Wide World of Sports cricket commentary team in January 2006, in a position he still holds. Slater appeared as a contestant on the Australian version of Torvill and Dean's Dancing on Ice, becoming the 4th contestant to be eliminated. He later appeared as a reporter on Channel Nine's health and lifestyle programme, What's Good For You?. It was announced in January 2009 that Slater would become Sunday sports presenter for the Nine Network's Weekend Today alongside co-hosts Cameron Williams and Leila McKinnon. Also in 2009, he hosted Australia's Greatest Athlete (alongside Andrew Voss), which aired on Saturday afternoons in January and February. 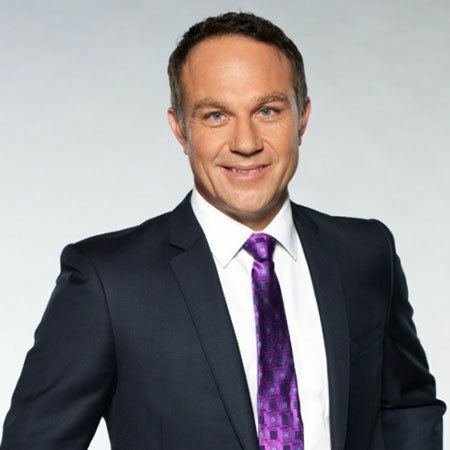 Michael remained Sunday sports presenter for Weekend Today until 2010. Slater is a regular contributor to the Triple M Sydney sports panel program "Dead Set Legends", and is the replacement co-host of Richard Freedman on Sky Sports Radio's Big Sport Breakfast with Terry Kennedy. 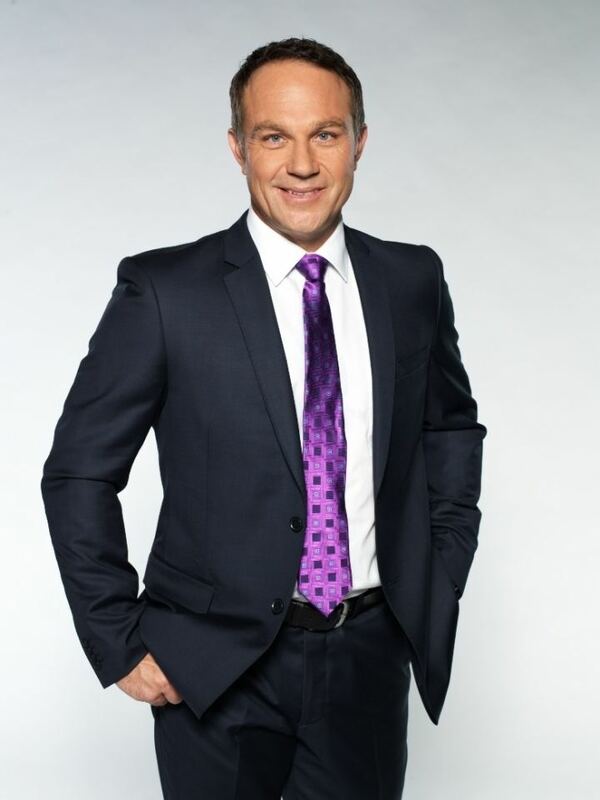 Michael became co-host of rugby league's The Footy Show, where he works alongside Paul Vautin, Daryl Brohman, Erin Molan and Beau Ryan (Slater is known to be a supporter of NRL team the Manly Sea Eagles, the same team Vautin captained to a premiership in 1987), and host of The Cricket Show on Channel 9.